Now that Dennis Rodman is out, Team Power is down to just three. Their dwindling numbers prompt Trump to move Marilu Henner to Power where Gary Busey will take over the reins of project manager. Trace Adkins heads up the other team. With Busey at the wheel the show quickly becomes comical! Busey talks about koalas getting high and other completely inappropriate things in front of the executives for Australian Gold and former Miss America Katie Stam. The situation is priceless! Meanwhile, Adkins isn’t doing much better. Lil Jon decides to take control to ensure that the team continues on their winning streak. The artist has past experience from a previous season where the teams dealt with an Australian Gold challenge. Are you surprised to see Baldwin sent packing? The head count is getting low with the competition now down to seven celebrities. Who will get the axe next week? Do you think Trump should have fired Baldwin? 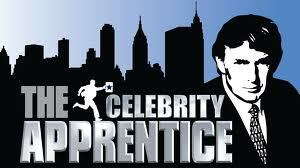 TVShowBettingOdds will continue to follow the sixth season of Celebrity Apprentice and the odds to win the show, for which they have yet to be released.